It has often been said that there are as many disciplines of psychology as there are practitioners of the science. The field is wide, the approaches varied, and there are many applications and methodologies. This resource guide reflects this diversity and provides many diverse resources for the graduate student in psychology. There are many associations, academies, research organizations, societies, and all of these have conventions, there are many blogs and journals as well. This resource guide presents some of the most prominent and influential resources available to students of psychology, resources used by practitioners and academics alike. The American Psychological Association: The American Psychological Association is the premier psychological association in the United States. The APA provides many resources for psychology professionals across many fields and is the primary psychology accrediting body for academic institutions. Academy for Eating Disorders: The Academy for Eating Disorders is the foremost global association for psychology professionals dealing primarily with eating disorders. International Association of Forensic Criminologists: The International Association of Forensic Criminologists is an association devoted to furthering the field of the behavioral profiling of criminals. American Board of Medical Psychology The American Board of Medical Psychology is a professional association for psychologists working or interested in the field of medical Psychology. Academy of Psychosomatic Medicine: The Academy of Psychosomatic Medicine is an organization dedicated to furthering the field of medical science, education and and healthcare for those with psychiatric and general medical conditions. Association for Psychological Science: This non-profit association seeks to advance the field of psychological science and increase its representation on a national and global scale. It does this through the publishing of various journals, representation at conventions, and by publishing regular relevant articles on its website. Association for Behavior Analysis: The Association for Behavior Analysis International is a global organization devoted to benefiting the world through its research into behavioral analysis as well as its efforts to educate professionals on that research. Association for Behavioral and Cognitive Family: The Association for Behavioral and Cognitive Therapies seeks to advance the field of mental health through its research and education oriented efforts at developing and advancing the fields of behavioral and cognitive therapy. Association for Humanistic Psychology: The Association for Humanistic Psychology seeks to contribute to the general improvement of the human experience through advancing the evolution of the human consciousness and a focus on cultivating trust based, authentic relationships between individuals. Behavior Genetics Association: The Behavior Genetics Association is devoted to the advancement of the study of the relationship between genes and human behavior. Cognitive Neuroscience Society: The Cognitive Neuroscience Society is devoted to the advancement of the study of neuroscience and the development of its influence on Psychology. Federation of Associations in Brain and Behavioral Sciences: The Federation of Associations in Brain and Behavioral Sciences is a collection of scientific societies and associations that are devoted to the advancement of the field of psychology through the study of the brain and behavior. International Association of Investigative Psychology: The International Association of Investigative Psychology is devoted to the advancement of investigative psychological techniques and the role psychology plays in the criminal investigation and the justice system. International Society of Applied Psychology: The IAAP, founded in 1920, is the oldest international association of psychologists. Its official languages are English and French. The association has over 1,500 members from 80 different countries and is one of the most diverse professional psychological organizations in the world. International Psychoanalytical Association: The International Psycholanalytical Association is the world’s primary accrediting and regulatory body for the field of psychoanalysis and is devoted to the advancement of the field on an international level. Psi Chi: Psi Chi is the international honors society in psychology and was founded in 1929 with the goal of catalyzing scholarly excellence in psychology education. The Society for Personality and Social Psychology: The Society for Personality and Social Psychology was founded in 1974 when it split from the APA and incorporated as an independent organization. SPSP today consists of over 7,000 members from myriad countries all united in the study of personality and social psychology. The Observer: The Observer is a journal published 10 times per year by the Association for Psychological Science. The journal’s goal is to inform practitioners of advancements in research, academia and applied psychological disciplines. The American Psychologist: The American Psychologist journal is the official journal of the APA published nine times per year. The journal primarily covers the science and practice of psychology as well as psychology’s impact on public policy. American Behavioral Scientist: The American Behavioral Scientist is a peer reviewed journal published monthly and targeted at scholars, researchers, practitioners and students. The Behavioral and Brain Sciences: The Behavioral and Brain Sciences journal is an internationally respected journal that follows an innovative Open Peer Commentary system. The journal publishes significant and controversial papers from the disciplines of psychology, behavioral biology, neuroscience, and cognitive science. International Journal of Psychology: The International Journal of Psychology is the journal of the International Union of Psychologists. The journal’s unique goal is to facilitate and advance dialogue between psychology scholars and practitioners on an international level. Journal of Applied Psychology: The Journal of Applied Psychology is published by the APA and emphasizes the publication of new applications of psychology and the contributions of new knowledge to the field of psychology. Journal of Experimental Psychology: Applied: Another APA journal, the Journal of Experimental Psychology: Applied publishes original empirical investigations in experimental psychology. Among the journal’s goals is the distribution and testing of models of cognitive processing and/or cognitive processing and behavior particularly in specific situations. Perspectives of Psychological Science: Perspectives of Psychological Science is a bi-monthly peer reviewed journal with articles covering the myriad of perspectives in the psychological community. From book reviews to meta-analyses and theoretical statements. Psychological Bulletin: An APA publication, the Psychological Bulletin publishes reviews of research and interpretations of issues in scientific psychology. 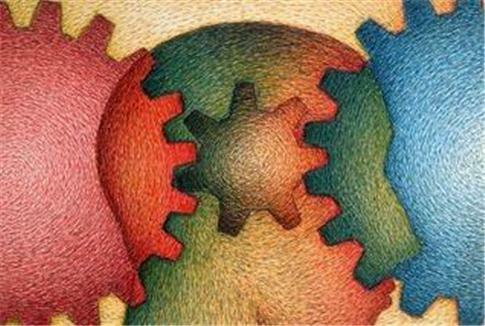 Psychological Science: Psychological Science is the top ranked journal in the discipline of psychological science. This peer-reviewed journal prides itself on keeping subscribers informed about the most cutting edge developments in the psychological science field. Review of General Psychology: Review of General Psychology publishes the most cutting edge information available across the field of psychology as a whole. The journal has an eye for innovative theories, methodologies and concepts that have the potential to change the field of psychology for the better. Basic and Applied Social Psychology: Basic and Applied Social Psychology features articles on empirical research, literature reviews, criticism and theoretical statements covering the entire range of social psychology research and practice. allconferences.com: This site lists conferences of all sizes across a number of industries including psychology. There are over 250 psychology conferences listed on the site which is updated regularly with current information. Association for Research in Personality: This annual conference is held by the Asssociation for Research in Personality. The conference deals with subject matter relevant to the study and development of human personalities. Berkeley Interdisciplinary Research Conference: The Berkeley Interdisciplinary Research Conference brings together the top students and many distinguished professors in the fields of psychology, neuroscience, anthropology, linguistics, cognitive science and education for a weekend of multidisciplinary presentations and discourse. Society of Industrial-Organizational Psychologists Conference: This is the annual conference of the Society of Industrial-Organizational Psychologists. SIOP is a division of the APA making this the foremost conference on the subject in the United States. APA Events: This APA site catalogues the various events, conventions and conferences held by the APA and its various divisions throughout the year. APS Conference: The Association for Psychological Science is coming up on the 25th anniversary of its annual convention. At the convention there are numerous papers presented reflecting significant research in the field plus end of day workshops and other events organized by the Society for Teaching Psychology. British Psychological Association Official Blog: A blog run by the British Psychological Association, BPS-Research Digest is a blog that tracks new psychological research and its potential impact on the field. Mindhacks: Mindhacks is a blog covering whatever aspects of psychology interest its writer, from cool psychology and brain themed t-shirts, to commentary on psychology in mass media to British Psy Ops, this eclectic blog is a fascinating read for those with a cursory interest in psychology to practitioners. Neurocritic: Neurocritic is more about the discipline of neuroscience than psychology proper but seeing as both fields study the brain and the results of its workings, the blog is an interesting read for those in psychology interested in the neuroscience perspective. Psyblog: This blog is concerned with all scientific research into the workings of the human brain. We’re Only Human: The “We’re Only Human” section of the Association for Psychological Science’s website is a blog featuring articles about psychology news and events. Psychology Today: This is the blog section of Psychology Today. Many of the authors are respected in their fields and the articles range in target from layman to practitioner. Laura Freberg: This blog mostly concerns itself with mentioning and describing the various psychological literature being read by the author. It’s a great site to follow if you are looking for copious amounts of book suggestions and descriptions pertaining to the field of psychology.